France’s elite police unit is being compared to the SS – not for the first time. The gilets jaunes (yellow vest) movement has reopened old wounds in France, and also resurrected some old chants. 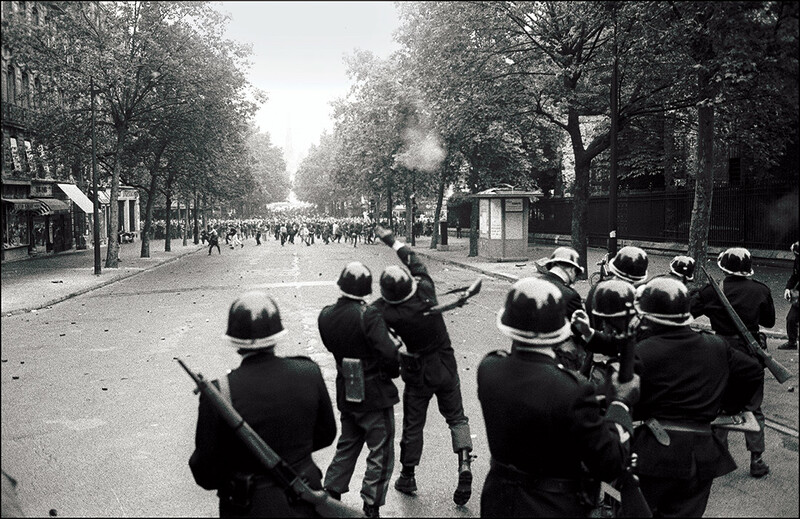 During the 1968 student uprising there was one refrain above all others that reverberated through the rues and boulevards of Paris as protesters battled with police: ‘CRS = SS’. Half a century later a new generation of demonstrators is drawing the same comparison between the Compagnies Républicaines de Sécurité [CRS], France’s elite police unit – which describes itself as ‘specialists in the maintenance of order’ – and the Nazi’s protection squad, the Schutzstaffel, as they vent their fury against rising taxes and falling wages. The gilets jaunes movement took to the streets last November in protest at rising fuel taxes, but subsequently their anger has grown to encompass a general disenchantment with globalisation. The protests have frequently descended into clashes with the CRS. It is not tear gas, however, that is doing the most damage to demonstrators, but a different weapon: the LBD [Lanceur de balle de défense]. Better known as a ‘flash-ball’ gun, it fires pellets of rubber or foam at a speed of up to 100m per second. Its makers claim that they do not break the skin, but in recent weeks a growing number of protesters have been hospitalised with serious injuries caused by the pellets. Unlike in 1968, many of the incidents have been filmed and uploaded onto social media. On 26 January, one of the de facto leaders of the gilets jaunes, Jérôme Rodrigues, was shot in the face by a rubber bullet as he live-streamed the 11th weekend of protests from the Place de la Bastille. His injury – one of dozens caused by the weapon – is being investigated by the police complaints authority amid allegations he was deliberately targeted. Such incidents will surely lead to more hostility and more online insults. In December, a photograph appeared on social media depicting the CRS in 2018 and the Waffen SS in 1944. Alongside were the words: ‘We were only obeying orders.’ Yet, contrary to popular belief, the students of ’68 were not the first to compare France’s specialist riot police to the SS. Most of them were not even born when the Nazis occupied France. The CRS was raised in December 1944 as an elite unit to safeguard the Republic amid fears of a Communist insurrection. Its remit was expanded three years later to deal with the growing unrest throughout the country caused by food rationing, a poor harvest and coal shortages. In the autumn of 1948 the CRS, acting on the orders of Jules Moch, the Minister of the Interior, was ordered to bring thousands of striking miners to heel. It did so with bullets, killing several and wounding hundreds. The three decades after the war are remembered in France as the Trente Glorieuses, but while the country boomed economically, a cultural chasm was growing between the patriarchal Establishment and a generation of young liberals. A march in Paris on 8 February 1962 in support of the Algerian War of Independence ended in tragedy when the police, including three companies of CRS, killed nine demonstrators at Charonne metro station. Six years later the students rose up against an Establishment whose brutal authoritarian rule was, in their eyes, epitomised by the CRS. France’s current moment of déjà vu is a dangerous one. It does not bode well for the president or his police. Gavin Mortimer is the Spectator’s French correspondent. He writes about the French Resistance and the SAS.